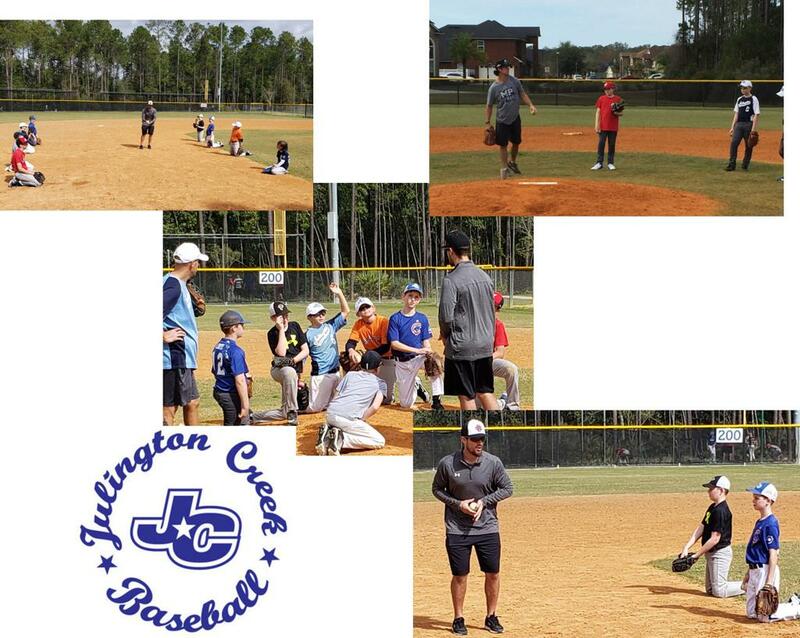 To provide JCB players and coaches the best instruction in northeast Florida, JCB partnered with current and former Major League Baseball players again this spring to conduct mini baseball clinics with our Majors and Minors division recreation baseball teams. Connor Marabell (Cleveland Indians organization) and Reed Melcolm (Creekside High School Assistant Baseball Coach) lead this spring’s baseball clinics focusing on the importance of a solid defense and proper fielding techniques. The costs for the program are included in spring registration fees and no additional cost to our JCB families. The program has been a huge success with the players, coaches, and parents and JCB will continue the program for future seasons. Thank You Connor and Reed!!! !